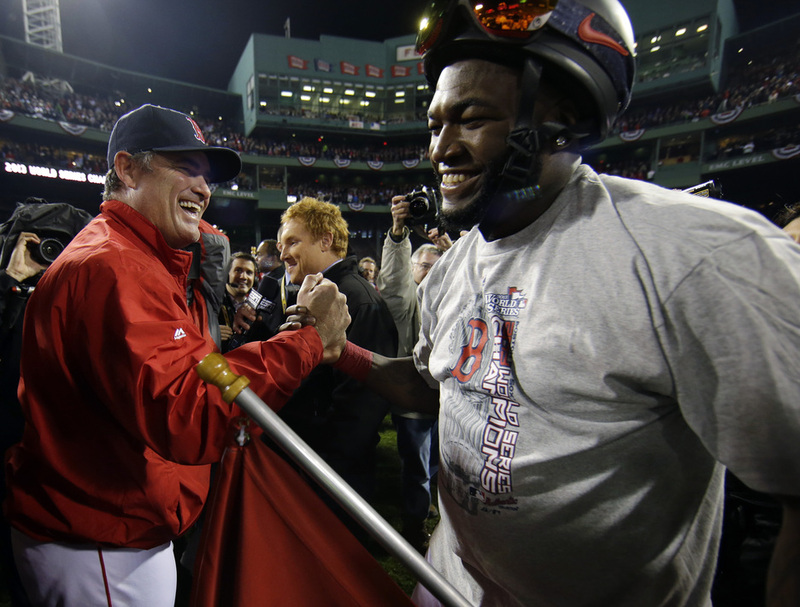 The president reportedly praised postseason stars David Ortiz and Koji Uehara. BOSTON — President Barack Obama called Boston Red Sox manager John Farrell on Monday to congratulate him on winning the World Series. Farrell said on Monday that he got the call just before 2 p.m. According to a report of the call issued by the White House, the president also praised the work of closer Koji Uehara and congratulated designated hitter David Ortiz on being named World Series MVP. Farrell says the team is hoping to make the traditional champions’ White House visit next year, perhaps around the season opener at Baltimore on March 31. The Red Sox beat the St. Louis Cardinals in six games, clinching last Wednesday night for their third title in 10 years.